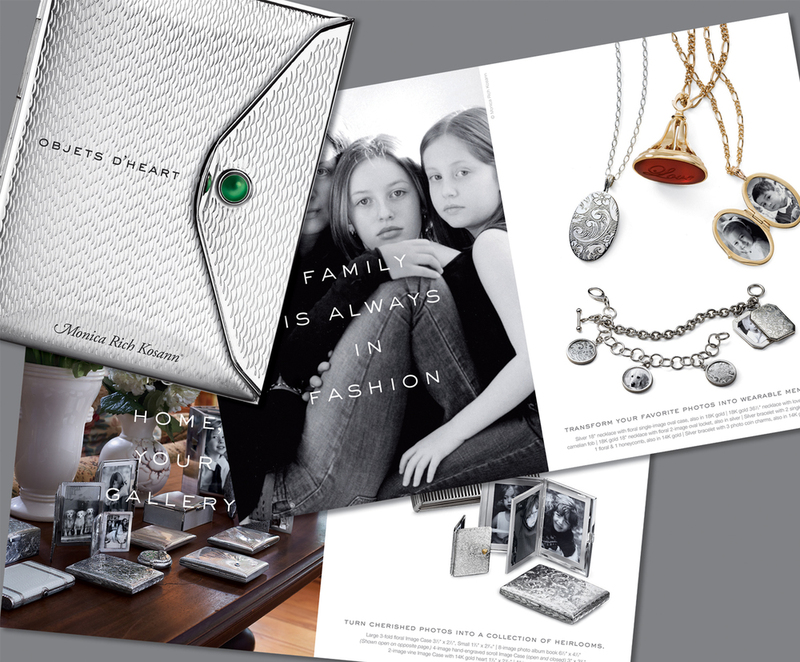 Holiday catalog for Image Cases inspired from vintage compacts for Neiman Marcus shoppers. Designed to mimic an actual Image Case. An informational piece using whimsical humor. 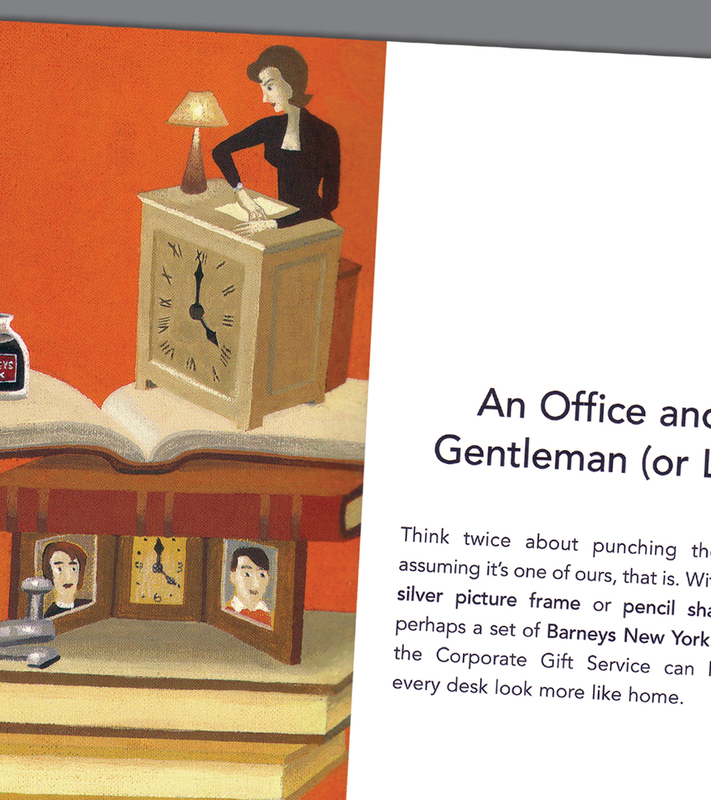 Created to give a brief scope of the unique corporate services that BNY has to offer: decorating, clothing, and restaurant. 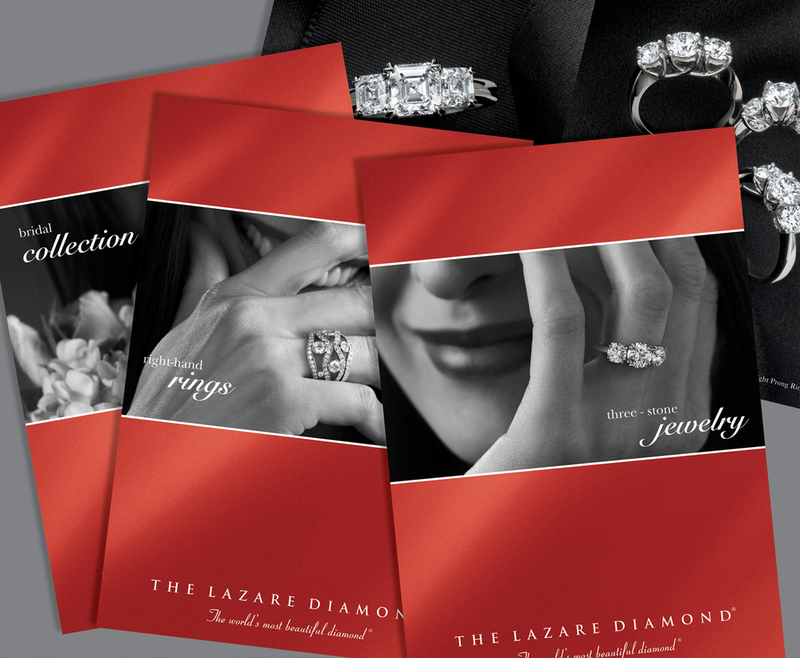 A series of brochures for the world's most renowned supplier of cut and polished diamonds. 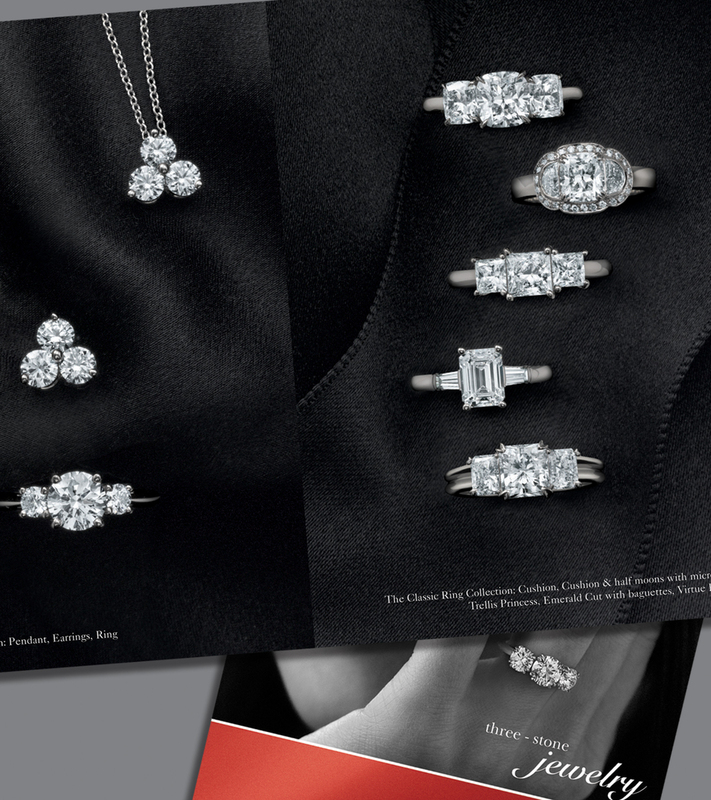 Featured the bridal, 3-stone and right-hand ring collections. 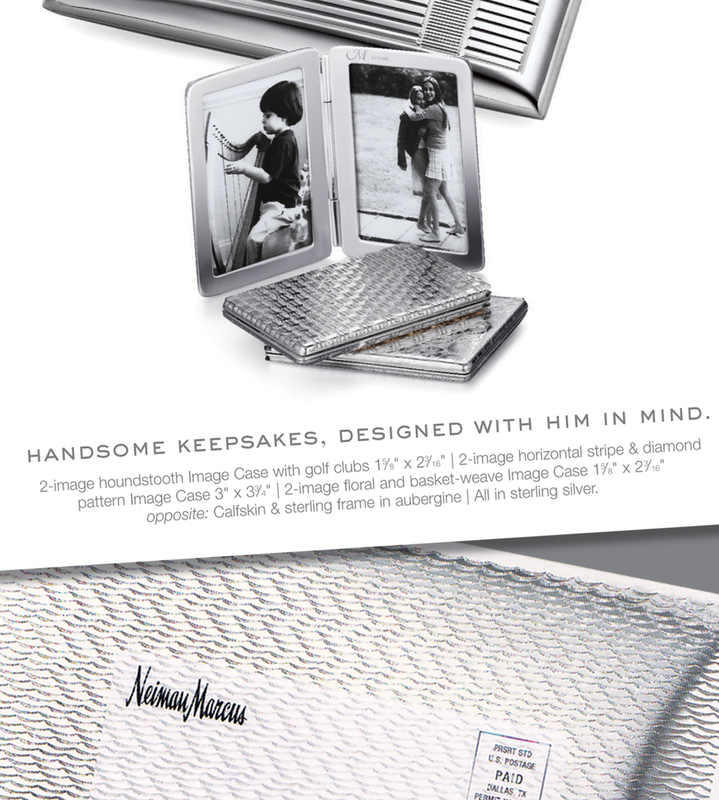 A fresh Spring catalog for the classic men's clothier. Embraces colors, patterns and textures to help men create their own aesthetic style. 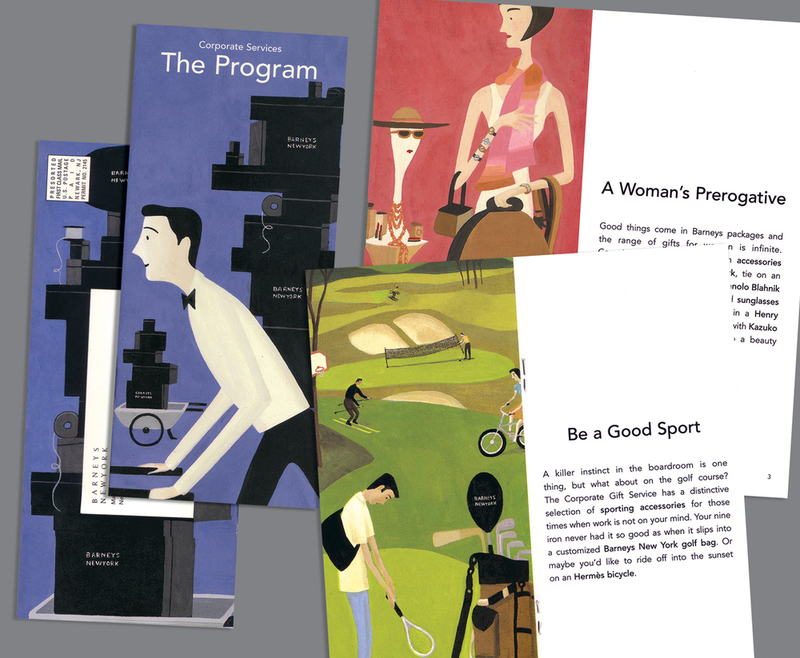 Die-cut front cover.